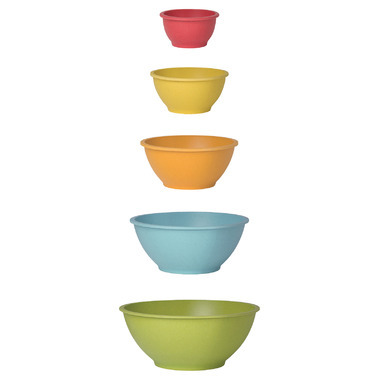 Created from crushed bamboo and melamine, these colourful nesting bowls fit snugly for space-saving storage. 60% melamine, 40% bamboo fibre. Love these bowls. Nice to have all the different sizes and they clean up beautifully.